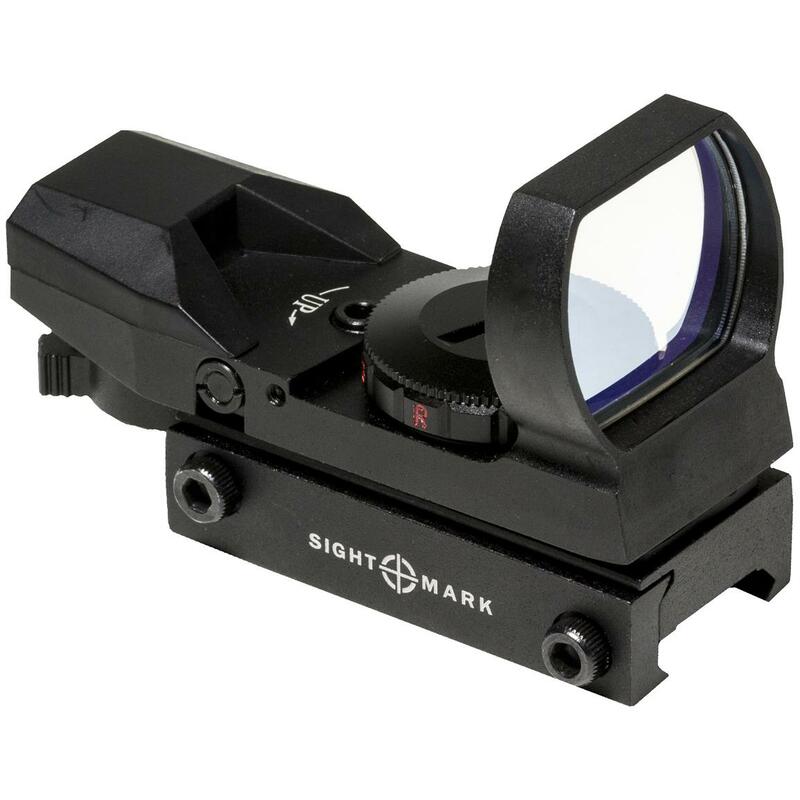 Sightmark® Sure Shot Reflex Sight. Sure-thing quick targeting for shotguns, pistols and rifles. 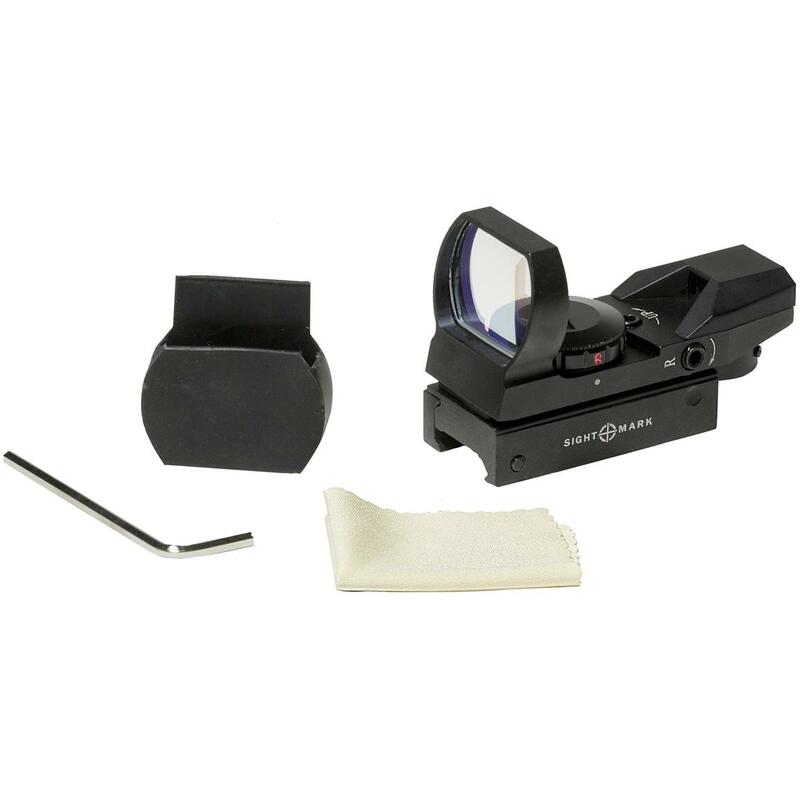 The Sightmark® Sure Shot Reflex Sight is designed to handle heavy recoil, and will stay zeroed in BETTER and LONGER than others. Plus 4 reticle patterns and 7 brightness settings -- all for a price that puts more expensive units to shame. Aircraft-grade aluminum construction can withstand heavy recoil up to .50 cal. Measures 3.16 x 1.4 x 2.1"h., weighs 4 ozs. Includes battery, rubber lens cap, and adjustment tools.